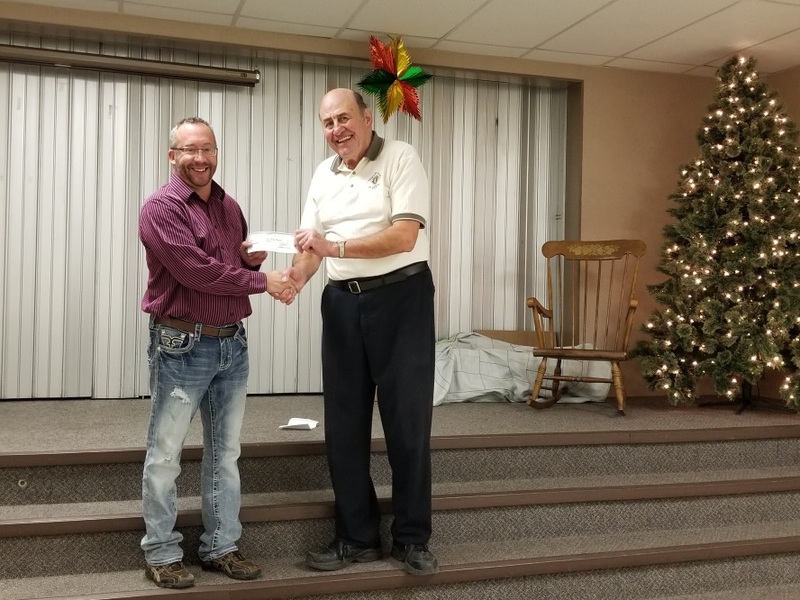 Monday, December 04, 2017 - On behalf of the YMCA of Moose Jaw Board of Directors and staff, we would like to send a special thank you to The Knights of Columbus, Father Lawless Council #1534 for their partnership with the YMCA Strong Kids Campaign. The Knights of Columbus presented their cheque in the amount of $1,500 to the YMCA Strong Kids Campaign during our 8th Annual Breakfast with Santa held on Saturday, December 2, 2017. 8 years ago Al Rossler, with the Knights of Columbus, contacted us to begin a “Breakfast with Santa” event and to have the proceeds go towards our Strong Kids Campaign. This event has built a great relationship not only between our organizations, but also with community and all those who attend. Al and his fellow Knights donate their time to cook the breakfast, donate the space to hold the event, as well as set up, clean up and help promote the breakfast. The event served children and families a pancake breakfast with sausages, pancakes and fruit. The kids were entertained with crafts as well as the most important guest – SANTA - who brought goodie bags to them all. Supporter’s and members of the community are an integral part of the YMCA Strong Kids Campaign. The goal of our campaign is to sponsor as many children, youth and families as are needed in the community of Moose Jaw, building self-esteem, self-confidence and developing healthy lifestyles in a safe, fun and positive environment. At the YMCA, no one is denied access to any YMCA program or service solely on the inability to pay the full fee. Our focus on inclusiveness and accessibility means we serve people of all ages, backgrounds and abilities through all stages of life. The Strong Kids Campaign provides funding for financially disadvantaged children, youth and families to participate in YMCA camps, programs and services.